Protests have also been taking place in Algeria, as the government meets to discuss ways of halting the rising food costs & unemployment that have sparked the unrest. The Algerian government figures show unemployment standing at about 10%, but independent organizations put that number closer to 25%. To help with the rising food costs, Ministers were due to meet to discuss measures to limit the profit margins traders can charge for staple foods. 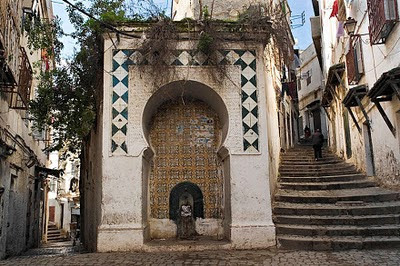 Mustapha Benbada, Algeria's trade minister, has said urgent measures will be taken to alleviate pressure on the population. The government is expected to impose fixed profit margins on widely-consumed goods including edible oil & sugar, but Algerian journalists have stated that the protests go beyond just rising prices. Young people said these clashes & protests are not the result of high food prices only, they think there are lots of problems in this country: educational; problems in the health sectors; in fact in all sectors of government. The government has simply ignored the people since they were elected to office. Basically now the people have come out into the streets asking the authorities to give them jobs, for them to share the wealth of the nation. Mohamed Zitout, a former Algerian diplomat stated that it is a revolt, probably a revolution, of an oppressed people who have, for 50 years, been waiting for housing, employment, & a proper, decent life in a very rich country that is ruled by a very rich elite that does not care about what is happening in the country. Appropriate to the political climate of the day in the area. Rai musick developed in the 1980s. It was considered the Algerian punk/rap musick. Cheb roughly translates as 'the young one'. There have been many Chebs in the Algerian Rai scene. Cheb Mami was born Khelifati Mohamed. He became known as the 'Prince of Rai' & now is considered the 'King of Rai'. "Arabic rock & roll retaining virtues of traditional music but infused with urban urgency." "perhaps Rai's most popular vocalist...(he) is one of the leaders of the pack, turning the genre into a futuristic dance/funk hybrid with the power to pack the dance-floors of North Africa, Paris, & New York." A native of Saida, a small village in southwest Algeria, Cheb Mami has been attracting attention with his soulful singing since his early teens. In 1971, he placed second in a talent contest organized by Ihan Wa Chabab. Despite recording several successful cassettes in the 1980s, he made little money from their sale. Frustrated by the music industry in his homeland, he soon began to consider alternatives. Although he served a stint in the Algerian military, he relocated to Paris, France, following his discharge in 1975. 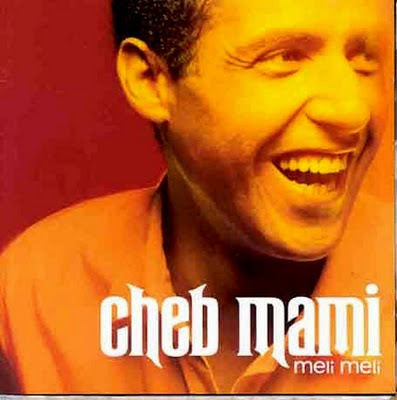 With the release of his first internationally-distributed album, The Prince of Rai, in 1989, Cheb Mami reached the upper echelon of Rai music. Cheb Mami has continued to take the Rai tradition to new heights. One of the finest records of the wildly-heralded 'Rai' movement, Meli Meli is a true vocal delight. Mami's voice is one of the most versatile & powerful in world-pop musick today. His three-octave range is truly something to behold, & his use of it on such songs as "H'Rabti" or "Parisien Du Nord" (performed with rap singer K-Mel of Alliance Ethnique ) is nothing short of phenomenal.